No matter what plumbing services you may need completed, a professional plumber on the North Mecklenburg team can help. From initial plumbing installation service to outstanding plumbing repair, pipe replacement, leak repair, and more – we do it all. Do not settle for anything less than an exceptional performance from your plumbing system and appliances. When you need any plumbing services, North Mecklenburg Plumbing is here to complete the job with the skill and expertise that only a professional can offer. Contact us today to learn more about the extensive plumbing services we offer. I cannot say enough good things about this crew. 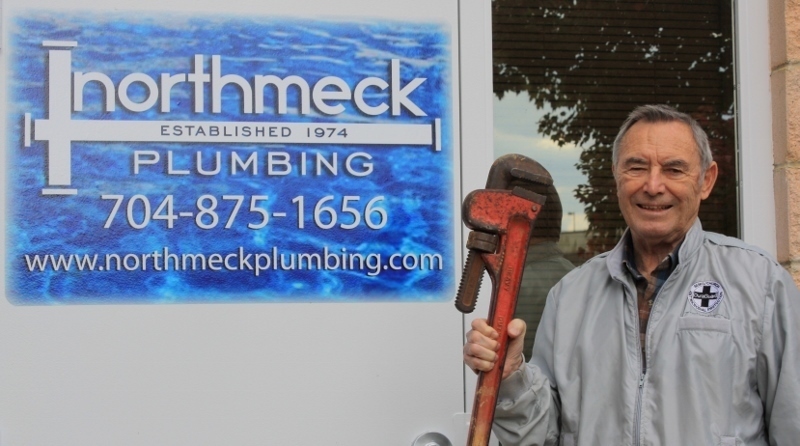 With a pipe burst and ceiling completely soaked and falling, North Meck Plumbing sent a team of two very, very capable men for their standard hourly rate. They were polite, intelligent, and personable. They cut out drywall, located and fixed the pipe in what seemed like no time at all, cleaned up after themselves and gave tremendously good advice. Their total bill was so reasonable – truly honest people with which to deal — the type you would invite back for dinner. Most appreciative and not only will I use them again, I heartily recommend them. Being a smaller plumbing company, we can focus on giving you the treatment you deserve. We aren’t a nameless, faceless plumber in a uniform that shows up to do a job. We are real craftsmen who get to know you and your individual plumbing needs. We are interested in building lifelong relationships. We strive for exceptional service at a fair price. That’s the North Mecklenburg Plumbing difference! We Value Your Feedback & Grateful For Your Reviews!